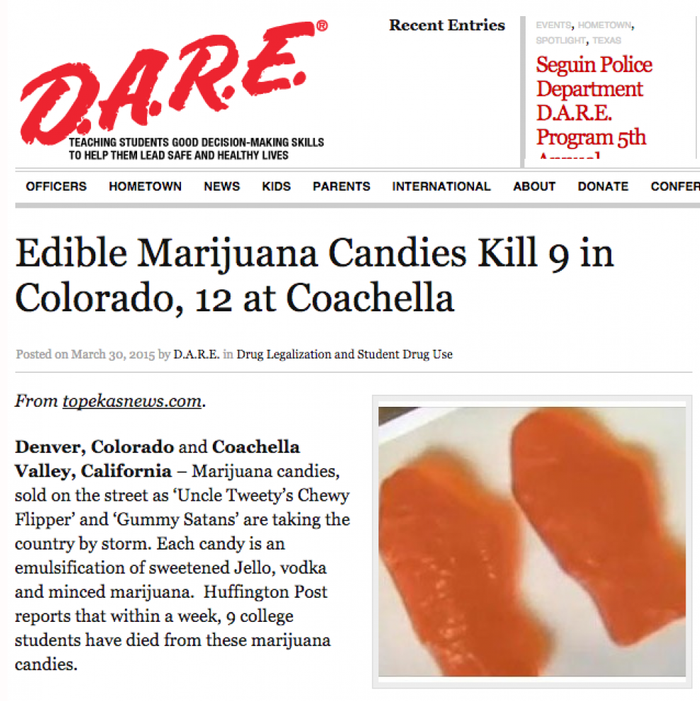 D.A.R.E., the anti-drug organization best known for telling middle-school kids not to do drugs before they even know what drugs are, has been forced to pull a fake news story down from its website after the Washington Post discovered it was satire. Someone at D.A.R.E. apparently took statements like these to be fact, because the article was republished to the organization’s site on March 30, and remained up until the Washington Post pointed out it was fake. Instead of an ineffective anti-drug program, perhaps what America’s youth really need is a federally funded lesson on how to spot satire.